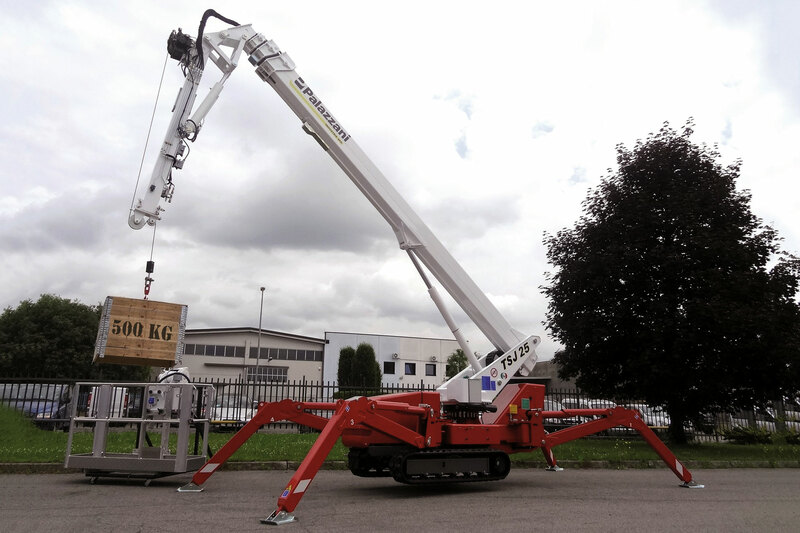 TSJ 25 GRU | Palazzani Industrie S.p.A.
Spider crane with hydraulic winch of 1100 lb maximum lifting capacity. 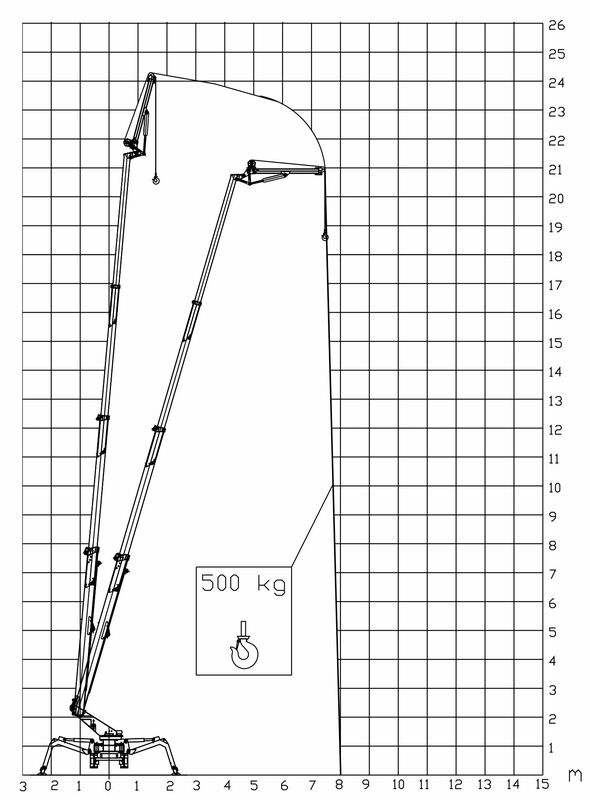 In the crane version, the jib has a special hydraulic installation kit, the hydraulic winch, 82ft long cable and a support for the disassembled basket. 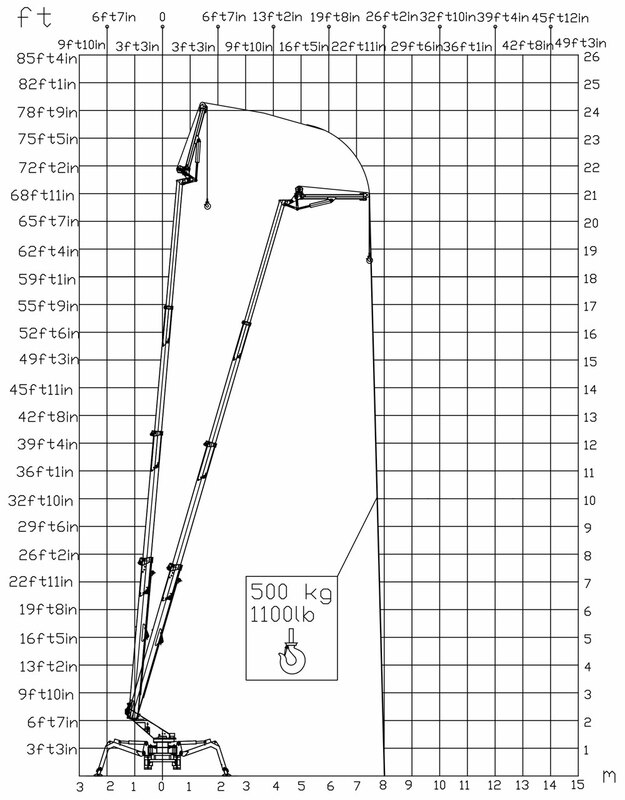 The maximum lift height is 77ft 1in, with an impressive 26ft 3in outreach for almost the entire working diagram. L’altezza di lavoro massima raggiungibile è di 23,5 metri, con un’importante sbraccio di 8 metri per quasi tutto il diagramma di lavoro.